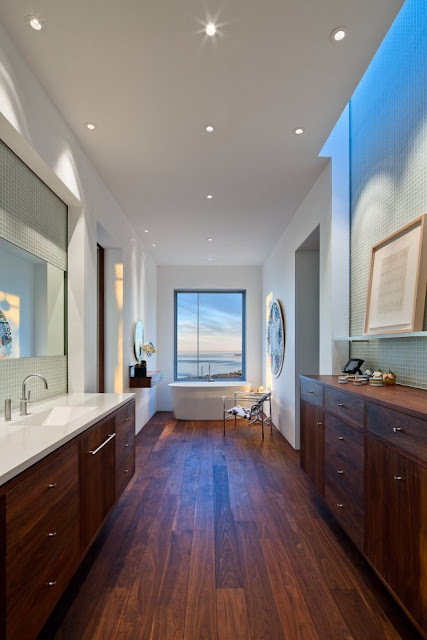 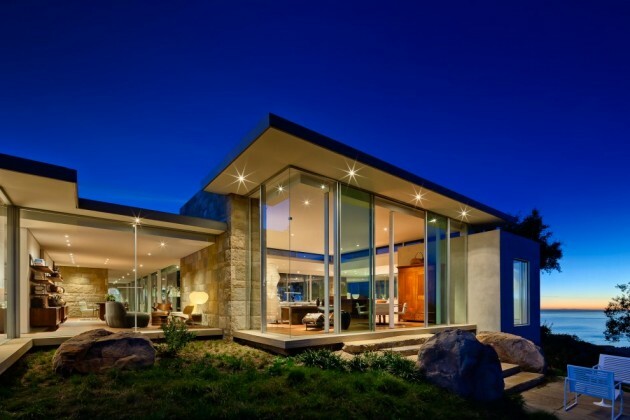 The contemporary home design evolved from the client’s desire for a house that is a tranquil place for retreat, art and living. 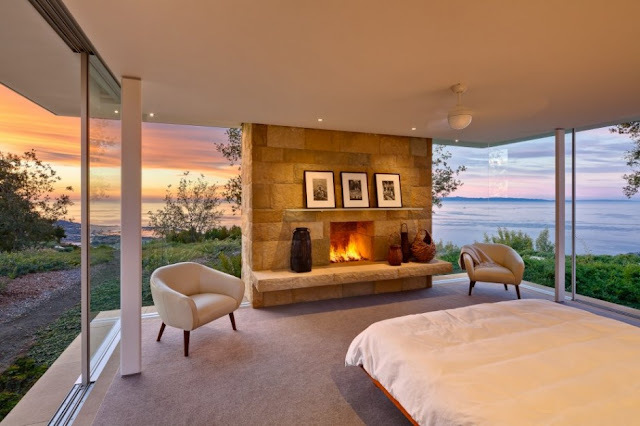 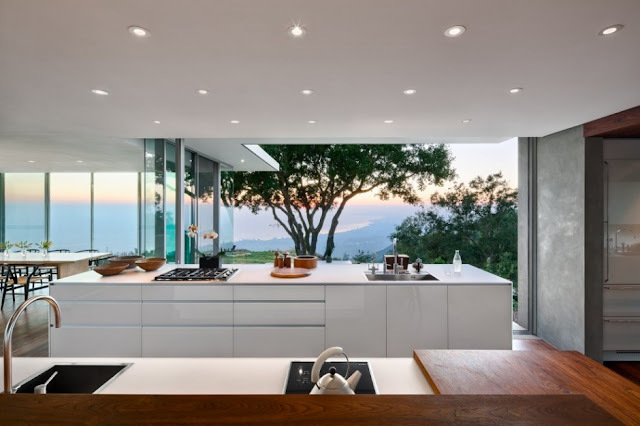 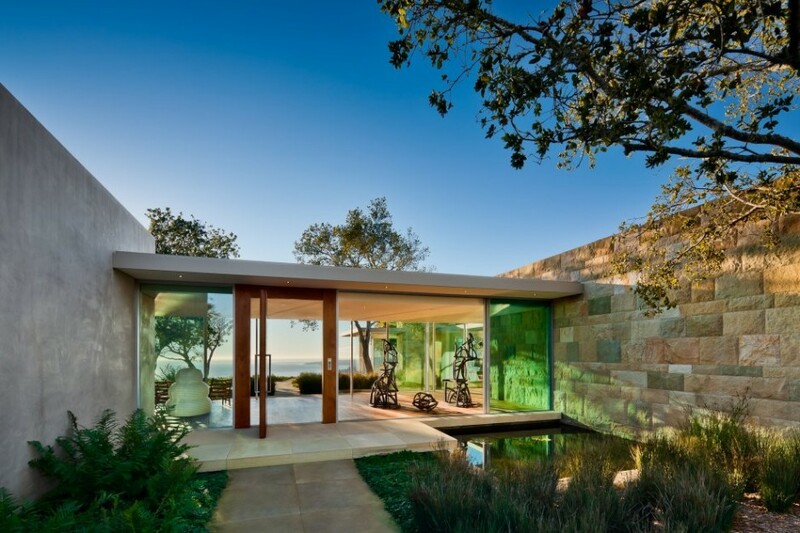 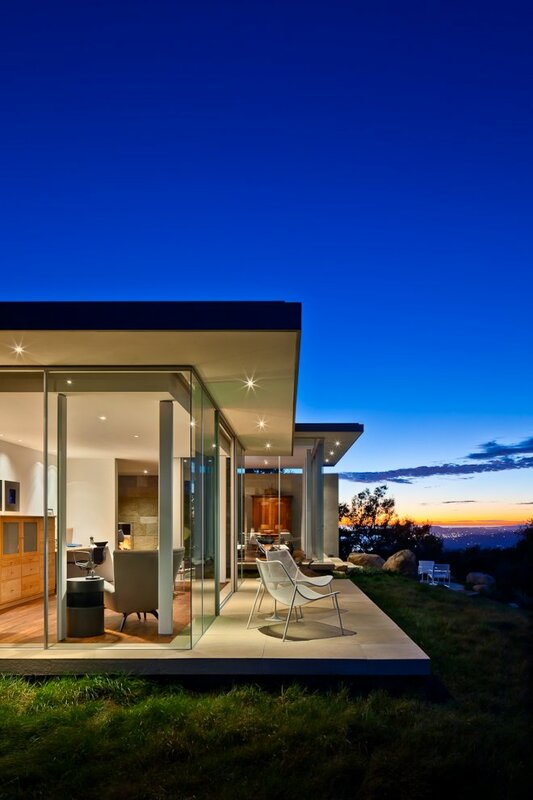 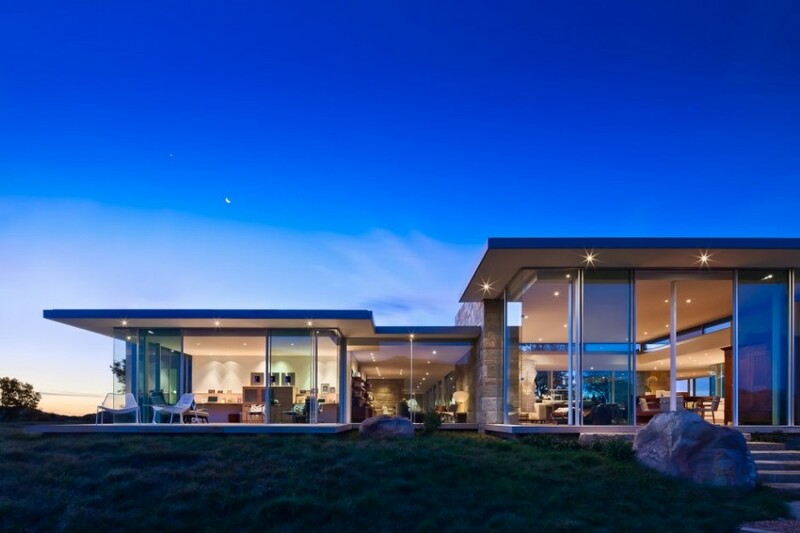 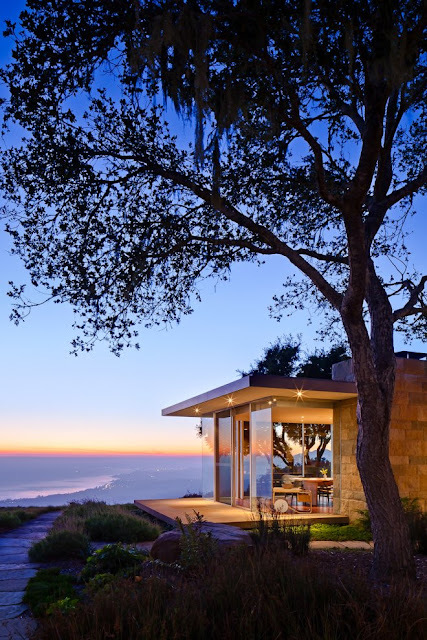 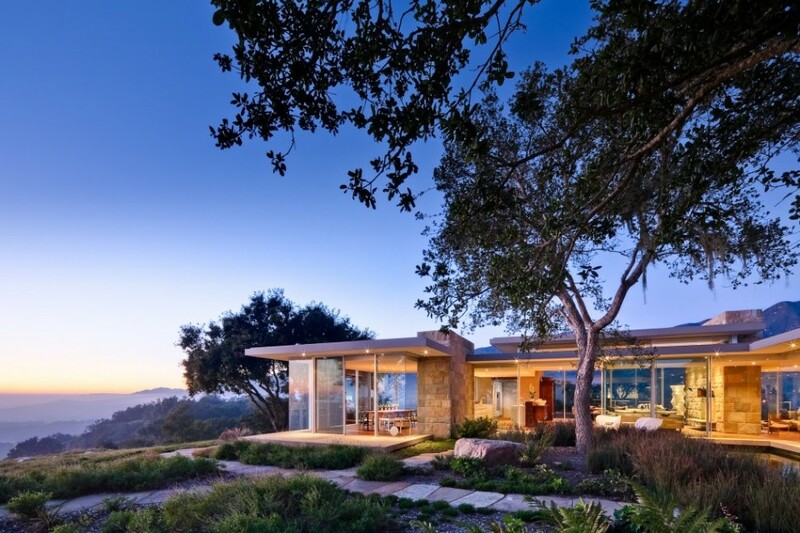 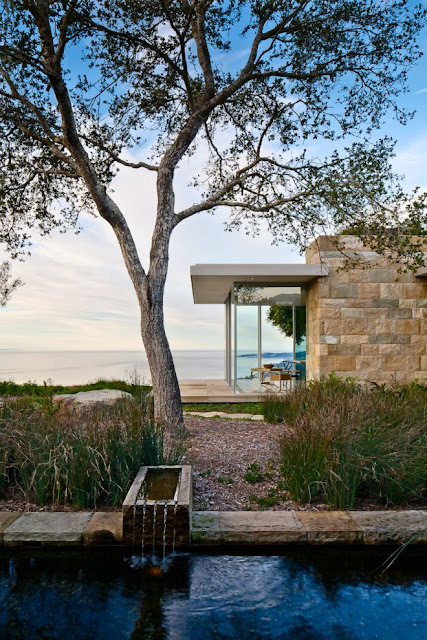 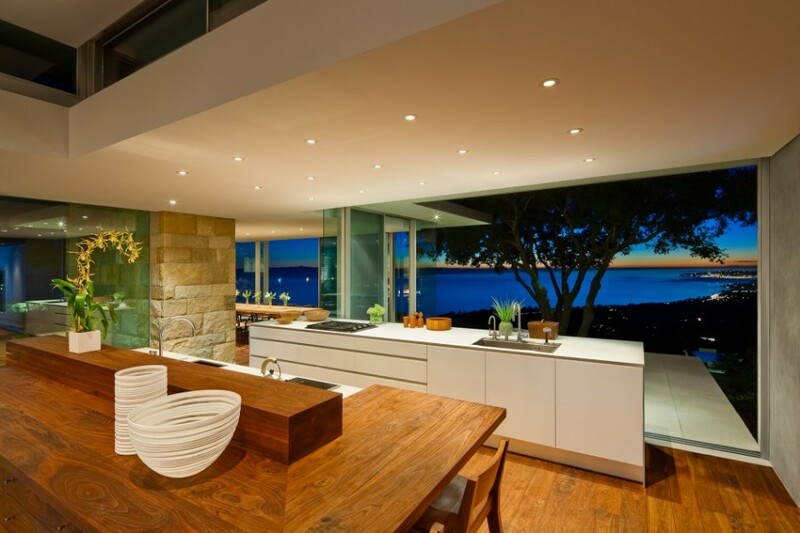 This house is seamlessly open to the ridge-top coastal site via operable glazed walls. The client asked for a master suite, a study for two, one guest room and an informal open living space.